Ever wondered what the top 10 most expensive paintings ever sold at auction were? Have you ever wondered how much some paintings actually get sold for at auction? Million and millions of pounds are spent year on year by the wealthy looking for a sought out piece of artwork. So what is the most expensive piece of art? This painting was sold to Ronald Lauder for his Neue Galere in New York City for $135 million in June 2006 at Christie’s, New York. The portrait of Adele Bloch-Bauer, the wife of a Jewish sugar industrialist is considered one of the artist’s masterpieces. 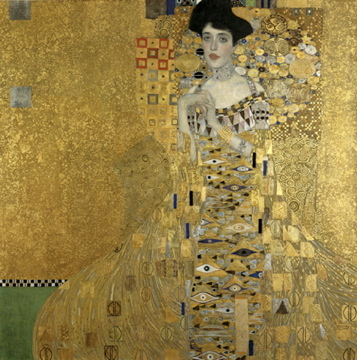 Did you know that Adele Bloch-Bauer became the only model who was painted twice by Klimt see the other at the Klimt online gallery. 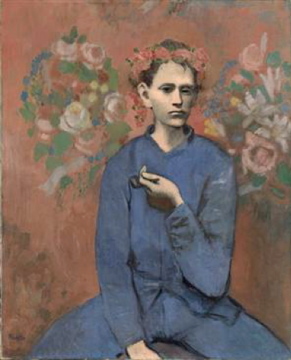 Garçon à la Pipe (Boy with a Pipe) is a painting by Pablo Picasso, painted in 1905 during Picasso’s famous Rose Period, a period in which Picasso preferred cheerful orange and pink colours. On May 5, 2004 it sold for $104.1 million at Sotheby’s auction house in New York, after having been given a pre-sale estimate of $70 million by the auction house. The record price was a bit of a surprise since the painting is not made in the Cubist style that Picasso is so renowned for. 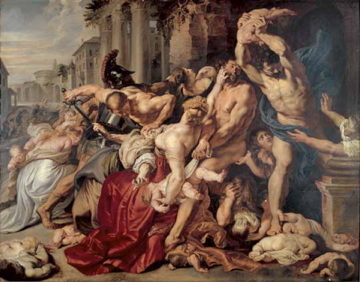 Many art critics have stated that the painting’s high sale price has much more to do with the artist’s name than with the merit or historical importance of the painting. Dora Maar au Chat (Dora Maar with Cat) is a 1941 painting by Pablo Picasso. 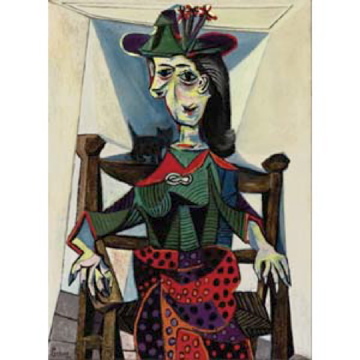 It depicts Dora Maar, the painter’s mistress, seated on a chair with a small cat perched on her shoulders. The work is painted in Picasso’s well-known cubist style. It was sold in an auction of impressionist works held at Sotheby’s on May 3, 2006 in New York to an anonymous bidder, whose final bid was $95.2 million, well exceeding the pre-auction $50 million estimates. This painting was sold to Japanese businessman Ryoei Sai for $82.5 million on May 15, 1990 at Christie’s, New York. Ryoei Saito shocked the world when he announced that he wanted the van Gogh painting to be cremated with him at his death. Later he explained he was using a figure of speech: threatening to torch the oils was just an expression of intense affection for the masterpiece. 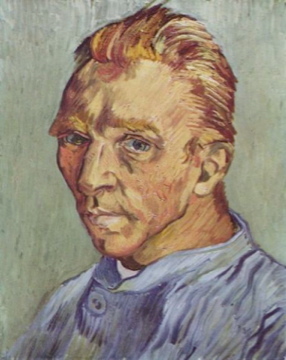 Vincent van Gogh actually painted two versions of Dr Gachet’s portrait with a slightly different color scheme. The other version is located at the Musée d’ Orsay in Paris. 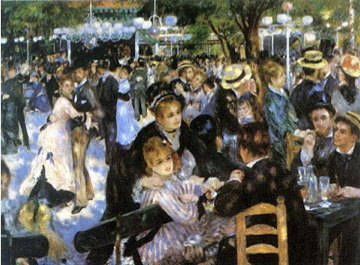 Bal au Moulin de la Galette, Montmartre is an 1876 painting by French artist Pierre-Auguste Renoir. 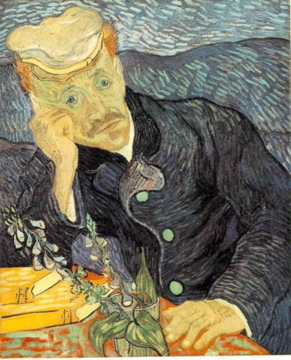 There are two versions of this painting with the same name: the larger one is located at the Musée d’Orsay in Paris, while the smaller version was sold on May 17, 1990 for $78 million at Sotheby’s in New York to Ryoei Saito, who bought it together with the Portrait of Dr Gachet. Bal au Moulin de la Galette was also in danger to be cremated with Saito together with the van Gogh’s painting. £49.5 million ($76.7 million) on July 10, 2002 at Sotheby’s auction. sold for $71.5 million on November 19, 1998 at Christie’s, New York. Rideau, Cruchon et Compotier painting by Paul Cézanne was painted in 1893-1894. 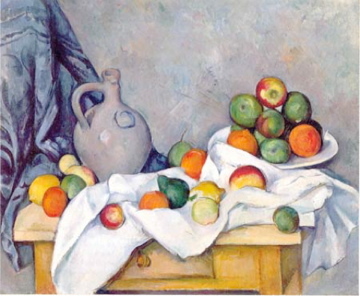 Cézanne was famous for drawing still lifes such as this, which expressed deep feelings though still based itself upon reality. This painting was sold for $60.5 million at Sotheby’s New York on May 10, 1999 to “The Whitneys”, one of America’s wealthiest families. Painted in 1901, Femme aux Bras Croises was part of Picasso’s famous Blue Period, a dark, sad time in the artist’s life. The beautiful & various tones of blue are typical. 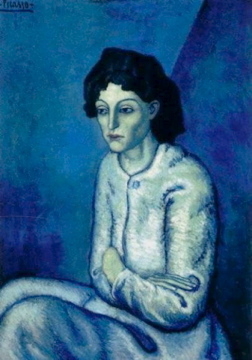 The painting depicts a woman with her arms crossed staring at the endless nothing. Femme aux Bras Croisés was sold for $55,000,000November 8, 2000, at Christie’s Rockefeller in New York City. 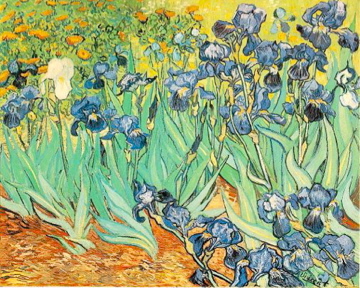 Irises is a painting by the Dutch artist Vincent van Gogh, painted while he was at the asylum at Saint Paul-de-Mausole in Saint-Rémy-de-Provence, France in the last year before his death in 1890. In 1987, it became the most expensive painting ever sold when it was sold for AUS $54,000,000 to Alan Bond, but he did not have enough money to pay for it and it had to be re-sold. It is now owned by the Getty Museum in Los Angeles. We’d love to hear from you! If you would like to add something, commission an art reproduction, or ask a question concerning our art reproductions please leave a comment. I thought I’d show you some recent examples of a new art reproduction artist that we’re just put onto our books. Everyone meet Esther and her paintings. This is Esther’s art reproduction of a Caravaggio painting alongside the original for you to compare and contrast. Caravaggio’s painting is entitled Saint Jerome and was thought to have been painted in 1605-6. It is now located in Galleria Borghese in Rome. To persuade you to commission a painting by Esther, she is offering you to paint you a reproduction oil painting at 40% off the normal prices on the Fabulous Masterpieces website! A blinding deal. If you want to take advantage of this introductory offer from Esther, simply contact us with the name and title of the painting you’re after and mention that you would like Esther to paint it for you. The Saint Jerome replica painting is on the top, original on the bottom. Obviously the Fab Masterpieces watermark is not on the actual oil painting. Receiving 40% off this painting or any other painting you love with Esther represents great value for money! Esther’s reproduction of a Klimt oil painting. Her art reproduction is on top, the original below. 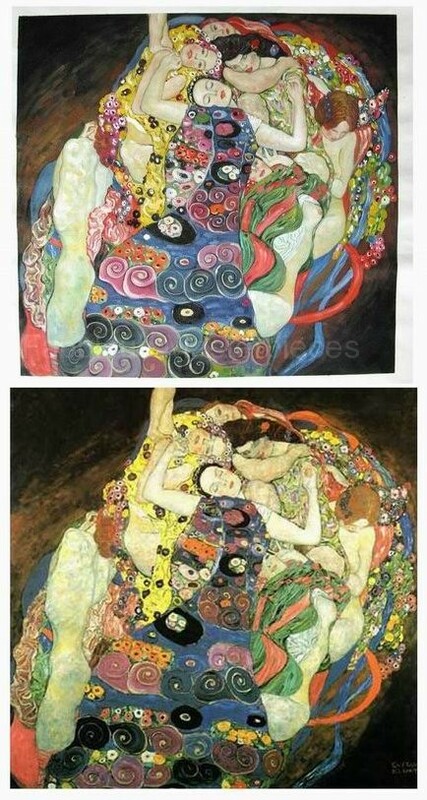 Esther's replica of a Klimt painting alongside the original for you to compare it to. Again our watermark will not be painted onto your actual painting. 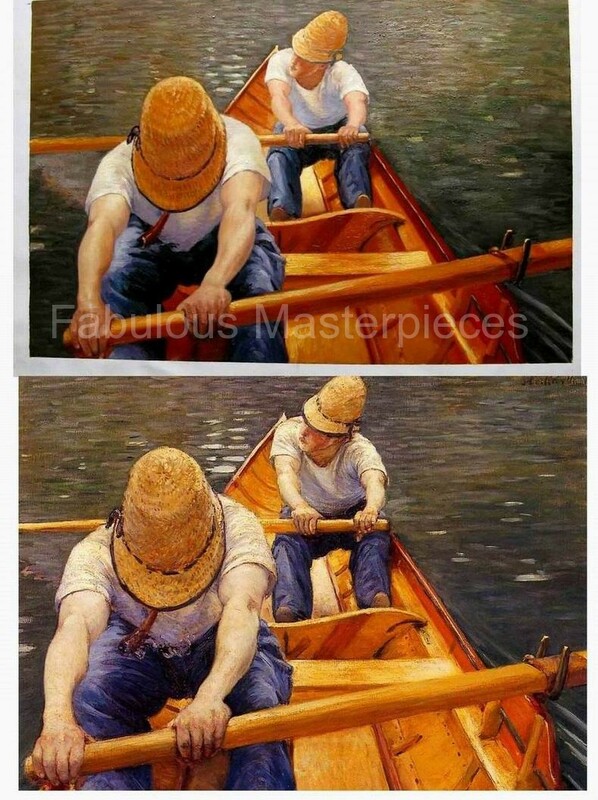 Esther's reproduction oil painting of Gustave Caillebotte's Oarsmen. Her art reproduction is on top, the original below. Again the actual watermark will not be painted onto your painting. Esther's reproduction oil painting is on top, the original below. Again the actual watermark will not be painted onto your painting. Do you like what you see? If you would like to commission a fine art reproduction of your favourite painting with Esther and receive a staggering 40% off then please contact us or email Tim directly on tim@fabulousmasterpieces.co.uk. Please remember to ask for Esther when contacting us. Dock Builders, painted in 1916 focuses on Maine’s seamen and is estimated to fetch between $2 – 3 Million. The other notable artwork up for auction is Childe Hassam’s Quai St. Michel, which is also expected to sell in the $2.5 -3.5 Million region. Hassam ( 1859 – 1935) a prominent American Impressionist artist depicts an elegant lady browsing Paris’ famed bookinisties. Would you like a quote for a Hassam or Bellows oil painting? If you would like a quote for a Hassam or Bellows reproduction oil painting such as Dock Builders or The Quai St Michel, please contact us. As with all our commissions, paintings are strictly commissioned-to-order, meaning you can choose to have your oil replica painted to the precise dimensions that you require. 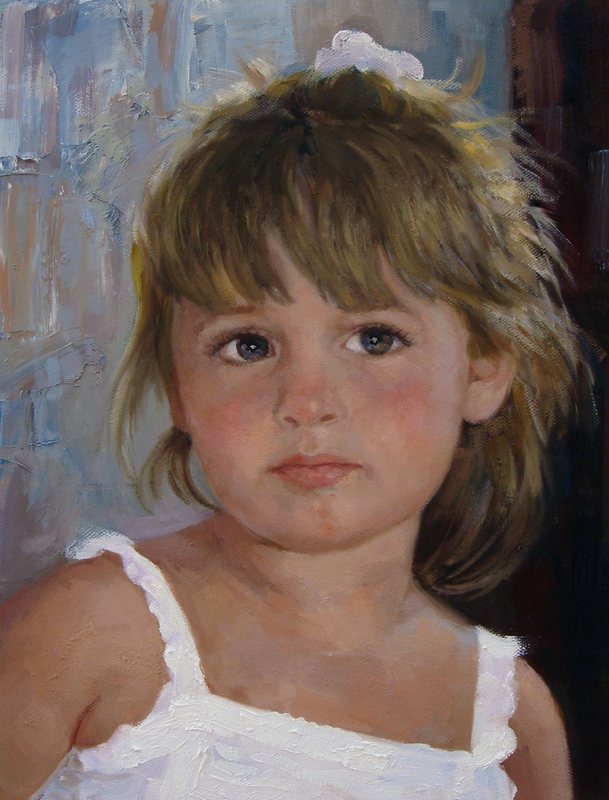 All paintings are exquisitely hand-painted with premium Winsor & Newton oils onto high-grade duck cotton canvases. What a great representation of a school classroom! Jan Steen’s (1626 – 1679) A School Class with a Sleeping Schoolmaster is the highlight of Sotheby’s Old Master painting sale in Amsterdam on May 10th, 2011. Painted in 1672, Steen humorously depicts a class-room scene, where everything is in disarray. The whole painting is taken up with children getting up to mischief by taking full advantage of the sleeping headmaster. What makes this a great painting in my view, is that even in this day and age it can still captivate a 21st century audience just as no doubt it did with viewers in the 17th century. Jan Steen’s A School Class with a Sleeping Schoolmaster is estimated to fetch between 300,000 – 400,000 Euros on Tuesday, 10th May, 2011 at Sotheby’s Amsterdam.